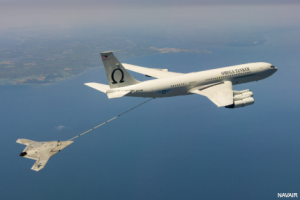 The X-47B receives fuel from an Omega K-707 tanker. 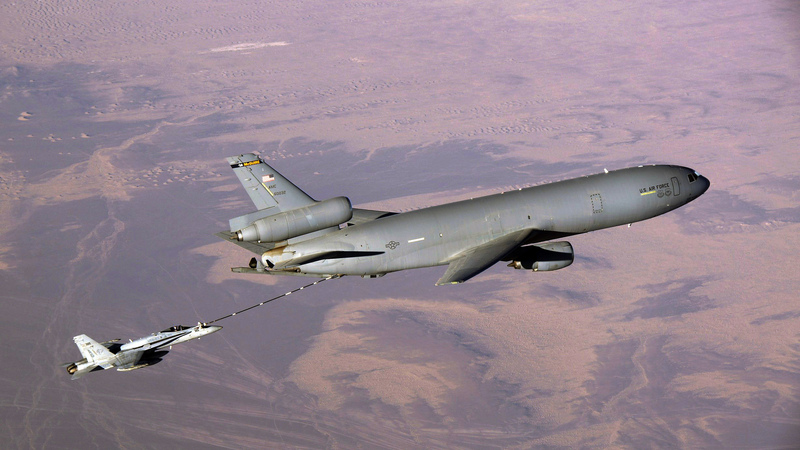 Midair refueling is incredibly difficult for a pilot, but a drone? Extended flight test have just been accomplished by the Navy. Their drone program uses the X-47B which successfully demonstrated mid air refueling, a first. The possibilities are tremendous as it allows them to stay up indefinitely and fly many different operations. “Refueling in mid-air is tricky enough with manned aircraft, because the pilot has to make precise movements to engage the tanker’s drogue, also called the basket, which delivers the fuel. “Adding an autonomous functionality creates another layer of complexity,” Duarte said.